Get Prizes for Forum/Blog Posts, Articles, etc. AOL is streaming episodes of classic TV shows for free. Shows include Wonder Woman, Eight is Enough, V, Perfect Strangers, and more. So far, only select episodes are available from each series, with more to come according to AOL. who say ‘good morning’ to you. your hands over your ears and grimace. 3. Leave your fly open for one hour. If anyone points it out, say, “Sorry, I really prefer it this way”. dramatically each time the doors open. person, tap them on the shoulder and pretend it wasn’t you. Run 3 laps around the office. style”, wink, and shoot him with double-barreled fingers. of the water cooler and drink directly from the nozzle. numbers while someone is counting. national anthem (extra points if you actually launch into it yourself). the light switch on/off 10 times. to everyone you speak to as “Dave”. that you “really have to go do a number two”. desk, Mon.” Keep this up for one hour. a cup of coffee and biscuit; smash each biscuit with your fist. the course of a meeting, slowly edge your chair towards the door. often as possible, skip rather than walk. 13. Ask people what s*x they are. Laugh hysterically after they answer. My friend Cathy Rulloda from Avante Gardens had an interesting promotion this Valentine’s Day–they replaced orders of disappointed Proflowers customers, for free. Complete with pictures, she shows what a rip-off Proflowers really is when you compare it to real florists. Check out the full post at http://floristblogs.com/blogs/avant_gardens/archive/2006/02/18/88.aspx. 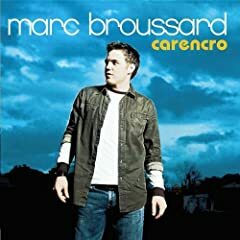 The song in the Saturn commercial is â€œHomeâ€ from his â€œCarencroâ€ CD. This is the commercial where the sides of the buildings fold down for the Vue. The rest of the albumn is good, but this song is different from the rest. If you want it in iTunes, click the link below on a machine that has iTunes loaded. If you want the whole album via Amazon, click on the album cover. BTW â€“ Carencro is his hometown in Louisiana. could be more bittersweet than making it to The Big Game, and then losing? The “Lucky Leg” – Go Steelers! with his prosthetic leg — the one with the Steelers helmet on the shin. But why does our man have a prosthetic leg festooned with Steelers logos? You have to appreciate the thought process, there. Posted on February 3, 2006 Author rjdudleyCategories Catchall1 Comment on The “Lucky Leg” – Go Steelers!